The Big Mound Key site in southwest Florida’s Charlotte Harbor has a series of semicircular ridges reminiscent of the Poverty Point site in Louisiana. Located on the Cape Haze peninsula within Charlotte Harbor in southwest Florida are two very similar mound sites: Big Mound Key and John Quiet Mounds. Approximately eighty miles due west of Lake Okeechobee, both sites are constructed from tons of seashells and feature several flat-topped mounds situated next to a series of semi-circular ridges. The layout of the ridges is very similar to the Poverty Point site in Louisiana. Poverty Point was the center of a vast trade network with trade contacts as far north as the Great Lakes, as far south as Florida and as far west as coastal east Texas. 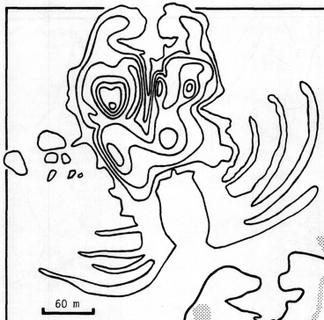 Big Mound Key, the older of the two Cape Haze sites, was first inhabited beginning around 850 BC. 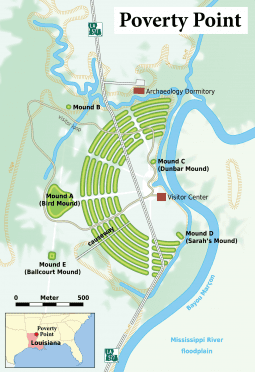 The Poverty Point site in Louisiana dates from 1800 BC to 500 BC placing Big Mound Key towards the end of that site’s habitation period. About eighty miles east of Big Mound Key near Lake Okeechobee is Fort Center (next in our story) which was also first occupied around 850 BC and provides the earliest evidence for corn agriculture in the southeastern United States. It is likely that both settlements, Big Mound Key and Fort Center, had trade relationships with each other. Big Mound Key possibly started as a massive shell midden (or trash pile) built up over a long period of time by Indians discarding oyster shells and other shells from the food they ate. The site covers an area of approximately 37 acres. Later, several mounds were built within the midden that rise to over 18 feet tall. These mounds had steep sides and intentionally flattened tops so that a structure could be built on top. It is believed these structures would have been temples, administrative buildings or communal structures. During a later period of the site’s habitation archaeologists have found evidence of shell tool manufacture at the site. Whelk shells were converted into both cutting tools and hammers. This required highly skilled craftsmen who selected the appropriate sized whelk shell and delicately cut holes in the proper locations for handle insertion. Evidence also shows that the diet of these craftsman was different than the surrounding local population suggesting they were of a higher status. The John Quiet Mounds are located across a small bay, Turtle Bay, east of Big Mound Key. 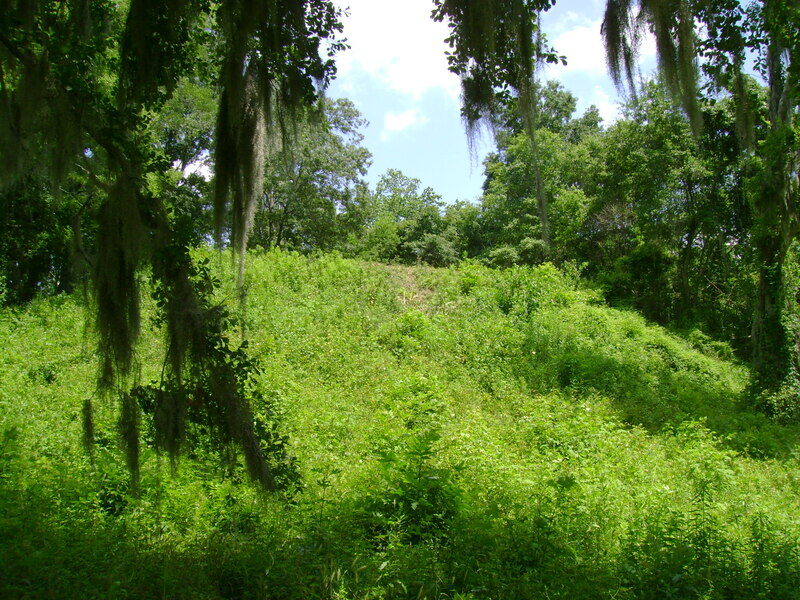 The John Quiet mound complex consists of one large mound approximately nine feet tall with steep sides and a flattened top, 20 feet by 60 feet. Like Big Mound Key it also has a series of semicircular ridges below the mound near Turtle Bay. The one foot high ridges, five in all, are very reminiscent of those at the Poverty Point site in Louisiana. It is probable that structures were constructed atop these ridges. A hand-dug canal ran from the bay to the base of the large mound. Several other mounds with flattened tops exist throughout this site which were probably the locations of more structures. It has been suggested that canals existed between the semi-circular ridges. This would allow the trading canoes to pull along side the ridges, load up with cargo, and then set off on their journey. If true, this would make John Quiet Mounds and Big Mound Key the Native American equivalents of Venice, Italy. The Venetians also built their mercantile city-state on islands in the coastal marshlands where they could set off on trading expeditions around the Mediterranean, their version of the Gulf of Mexico. As is often the case, people around the world separated by time and geography hit upon similar solutions to shared problems. Coincidentally, Hernando De Soto brought glass trade beads manufactured in Venice, Italy when he landed in Charlotte Harbor to begin his expedition to explore the southeast in 1539. The Venetians controlled the manufacture and distribution of these glass beads for over 600 years. Florida’s Indians themselves had a long history of manufacturing and trading shell beads and John Quiet Mounds and Big Mound Key were likely sources for such trade goods thus another similarity between these two unrelated maritime cultures. The John Quiet Mounds site dates to approximately 200 AD which places it in the same period as the Ortona Mounds to its east. In fact, the Ortona Mounds feature a canal that connects it directly to Charlotte Harbor south of both Big Mound Key and John Quiet Mounds. Archaeologists now know that the people of Ortona had extensive trade networks along both coasts of Florida and extending up the Mississippi River as far north as Ohio. It is unlikely these trade networks developed overnight and were probably a continuation of those first established between Big Mound Key, John Quiet Mounds and Poverty Point. The Gulf Loop Current goes through two cycles several times throughout the year. Step 1 of its cycle starts at the tip of the Yucatan peninsula and heads straight for south Florida giving mariners from the Yucatan a free ride. 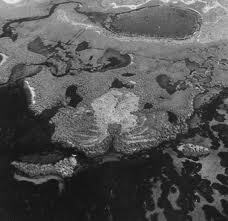 Step 2 of the cycle sees the current pushed far north, often times to the coastal waters of Louisiana thus giving the Tunica traders a free ride to their trading outposts in Charlotte Harbor, Florida. What makes possible such long distance travel across the Gulf of Mexico is the Gulf Loop Current. This current loops up from the Yucatan peninsula in Mexico and can extend as far north as the coastal waters of Louisiana before looping back down the coast of Florida. Traders could ride the Mississippi River into the Gulf of Mexico, catch a ride on the Gulf Loop Current and jump off at Charlotte Harbor in Florida. The return trip would most likely take a coastal route up the west coast of Florida and along the panhandle back to Louisiana. Coastal currents flowing northward would aid this journey. them. 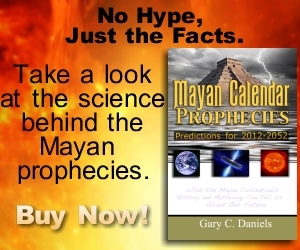 It is possible that they are the southernmost participants of this advanced culture which exhibited a detailed knowledge of astronomy, an accurate twelve-month calendar, and constructed enormous earthen pyramids at sites such as Crystal River and Letchworth Mounds in Florida and Kolomoki Mounds in Georgia. A large ocean-going canoe was found at Weedon Island providing proof for such long distance trade. Although it is possible that both Big Mound Key and John Quiet Mounds started off as trash middens, there are similar shell sites in the area that have proven to be more than simple trash piles. Some are entirely constructed from one type of shell, such as busycon, while others are constructed in purposeful layers with each layer representing a single shell type such as whelk or oyster. Could it be that these were “manufacturing” centers, so to speak, where the production of shell tools, jewelry, and ornaments as well as dried, salted or smoked seafood were prepared for trade? It should also be noted that archaeologists once thought the Poverty Point site was also constructed over a long period of time due to the size of the site but recent research shows, instead, that it was constructed over a matter of months in one large building episode. Thus Big Mound Key and John Quiet Mounds may also have been built rather quickly. 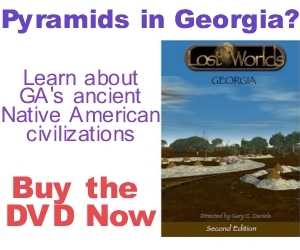 Archaeologists know that an extensive trade network existed across the eastern United States during the Poverty Point culture period. Archaeologists have found trade items at Louisiana’s Poverty Point that could only have come from south Florida and vice versa. 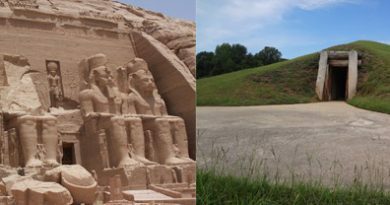 The similarity in site design strongly suggests that Big Mound Key and John Quiet Mounds were likely trading outposts established by the people of Poverty Point. Not only is the site plan similar to Poverty Point but the natural environment is similar as well. Poverty Point sites were built near major rivers, junctions of lakes and rivers or in coastal marshes. 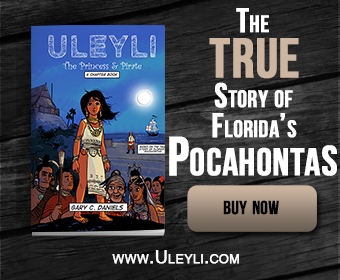 Although archaeologists claim that the Poverty Point culture ended in 500 BC perhaps they simply moved to south Florida? Quiet Mounds throughout southwest Florida (including Mound Key later in our story.) They also were known for their extensive canal network. 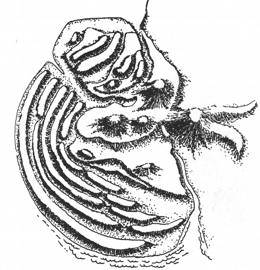 Recent analysis of words from their language suggests they spoke a dialect of Tunica. The Tunica are a tribe in Louisiana and quite possibly descendants of the people who built Poverty Point. They were great traders and during the historic period traded salt, their major export, as far west as New Mexico to the Mescalero Apache in exchange for horses. Thus it is likely the Calusa were descendants of a Poverty Point/Tunica outpost in Charlotte Harbor. Not only do Big Mound Key and John Quiet Mounds fit the typical Poverty Point site locations (coastal marshes, riverways and river-lake junctions) but so do the next two sites in our story, Fort Center and Ortona Mounds, where even more evidence for long distance trade contacts is found but this time from Mexico.